The Food and Drug Administration has selected 32 companies and academic entities to provide research and development support services to advance studies in regulatory science under a potential $41.8M multi-award contract. The agency announced the R&D contract awards in a FedBizOpps notice posted Friday. 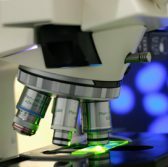 Through a broad agency announcement, FDA sought proposals for toxicology, clinical evaluations, personalized medicine, information science data and a prevention-focused food safety system, among other things, to develop more streamlined processes for product development and health outcomes.